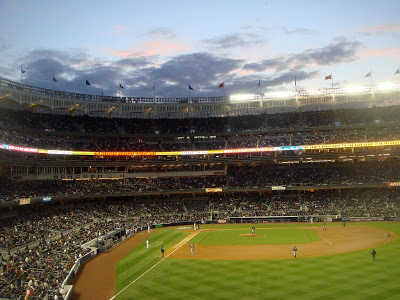 This fun baseball food article was first published in KRL in 2011. With baseball season upon us again we thought it was the perfect time to share this with you again! Recipe at the end of this post. Each ballpark has its food specialty. In Philadelphia, of course, they are known for the Philly Cheese Steak. Baltimore has the Boog’s BBQ. Boog Powell was a player for the Orioles back in the 60’s and now during some of the bigger games he’s out at the BBQ pit signing autographs and making sure the guys get the meat cooked just the way he knows the fans like it. The San Francisco Giants offer a grilled crab on sour dough bread as well as various Mexican delights. At the Miller Lite Pavilion in the Nationals Park they’ve got the Nats-Dogs. The New York teams, the Mets and the Yanks, specialize in sausage and peppers on a roll. 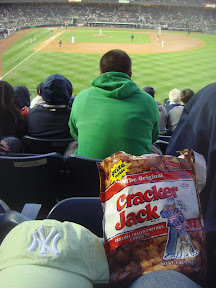 The Los Angeles Dodgers have the “Dodger Dog.” But for me no matter what stadium I’m sitting in I always wait for the Cracker Jack vendor to come tramping up the aisle calling out, “Get yur peanuts, popcorn and Cracker Jacks”. I don’t remember when this caramel corn obsession began. I suspect it was probably one of those unconscious cravings, unacknowledged for years, a dormant memory awakened by the casual call of the vendor. So now when I go to a baseball game I can hardly wait to open a package of this sugary popcorn treat. But how did caramel corn become so connected with baseball? First let me give you a little history of this tasty treat. In the beginning there was popcorn. In 1885 it had become a major street food with the invention of the gasoline driven popcorn machine allowing vendors to follow crowds around, pushing steam or gas-powered poppers through fairs, parks, expositions and ballparks. At the first World’s Fair in 1893 in Chicago, two brothers, Chicago resident candy makers, came up with the idea to coat popcorn with molasses and called it “Candied Popcorn and Peanuts”. This concoction didn’t go over very well and the visitors at the fair found the candied popcorn too sticky. The brothers reworked their recipe and in 1896 came up with what is even to this day considered a secret formula for the popcorn treat. It didn’t take long for the “Candied Popcorn and Peanuts” to be renamed “Cracker Jack” after a popular slang saying of that era meaning “something very special”. Cracker Jack was sold in large tubs until 1899 when waxed sealed packaging was invented and at that point Cracker Jack was sold worldwide and became a national icon. Then in 1908 Jack Norworth, a vaudeville entertainer and songwriter, after seeing a sign that announced “Ballgame today at the Polo Grounds” composed the song “Take Me Out To The Ball Game”. His song immortalized Cracker Jacks and forever connected this tasty treat to baseball with the lyrics, “Buy me some peanuts and Cracker Jacks”. Norworth’s wife, Nora Bayes, performed the song at the Ziegfield Follies and by 1910 the song had become a regular part of all the big league ballparks in America. The Cracker Jack Co. is now owned by Frito-Lay but the formula is the same as it was back when it was first invented in 1896, and the recipe is still a secret. Luckily some people have come up with recipes that replicate this tasty treat and I’d like to share one with you. Spread the popped popcorn on two shallow greased baking pans such as roasting pans, jellyroll pans, or even disposable roasting pans work nicely. Sort through the popcorn and remove the stray kernels that have not popped. Set pans aside. Turn on oven to 250 degrees. Lightly coat two wooden spoons or spatulas with cooking oil and set aside. Before you get started I want to say a few words about the saucepan that you should use. The process of caramelizing sugar is basically liquefying the sugar grains and if not handled carefully the process can be extremely dangerous. At one point the sugar mixture will bubble up and become at least twice the amount that you have put into the pan. So make sure that the saucepan can accommodate this expansion. In a saucepan combine the brown sugar, corn syrup (or either one of the honey mixtures), margarine (or butter) and salt, bring the mixture to a boil over medium heat, stirring to blend. Once the mixture begins to bubble continue stirring and cook for another 5 minutes, or until the liquid sugar turns a darker color along the edge of the saucepan. The sugar will caramelize first on the bottom of the pan and on the sides so remove the saucepan from the heat as soon as you see the sides begin to look slightly amber. Immediately stir in the baking soda and vanilla. The mixture will expand at this point, and become light and frothy. Waste no time in pouring the caramel over the popcorn in the pans, and using the oiled spoons or spatulas, stir the caramelized sugar into the popcorn. Put the pans of popcorn into the oven and bake for 1 hour, stirring the mixture every 15 minutes. The caramel will become harder and less sticky in the cooking process. Empty the caramel popcorn from the pans out onto a counter top that has been lined with waxed paper and separate into smaller chunks. Allow caramel popcorn to cool completely before storing in airtight containers or in resealing bags. Many thanks go out to Tonybaseball and his lady friend, Sarah, for their assistance in writing this article. Margaret Mendel was born in San Jose and has a Master’s degree in Counseling from the University of San Francisco & a Master’s of Fine Arts in Writing from Sarah Lawrence College. Currently residing in New York, she has had several short stories and articles published. Her first mystery novel, Fish Kicker, was just released. To learn more about Margaret go to her website.